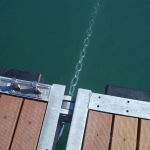 Floating modules can be anchored to concrete anchor weights with galvanised steel chains. 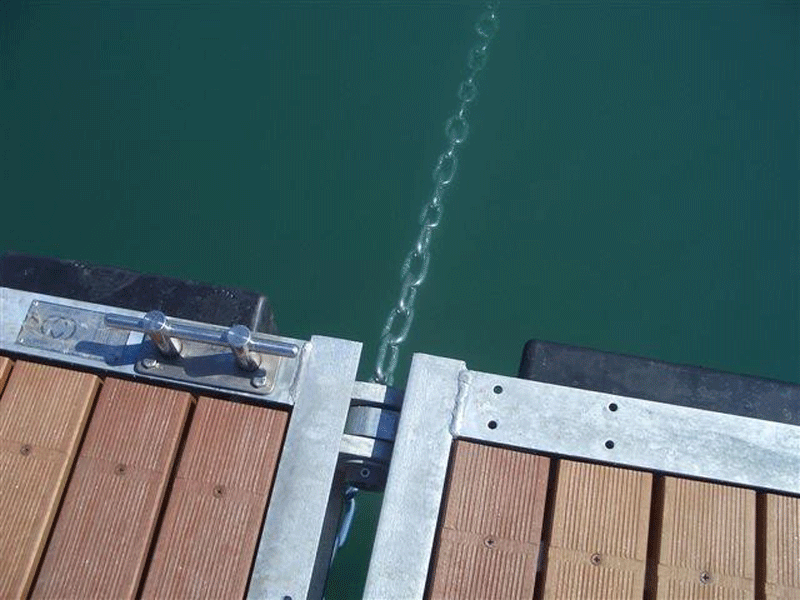 Another solution is vertical poles fixed into the sea bed and fitted with guide rings attached to the jetties to allow an up/down sliding movement. When the jetty is positioned parallel to the shore, clients can choose either spacing rods or the free-standing up/down sliding system, offering great stability.